After hours of planning, the City Traffic Police (CTP) has devised a traffic plan for Islamabad and Rawalpindi motorists. The plan was formulated to take into account the rally of former Prime Minister Nawaz Sharif today and to ensure that motorists face minimal issues during their daily commute. According to Chief Traffic Officer (CTO) Yousaf Ali Shahid, some 396 traffic wardens, 18 inspectors/in-charges and 24 junior traffic wardens have been deployed to regulate traffic on city roads. Murree Road to remain closed from morning till passing of rally from Kutchery Chowk. Use alternate routes like Rawal Road, Saidpur Road, Mall Road, Convoy Road, Fort Road, Airport Road and Sadiqabad Road instead of Murree Road. Traffic coming from Faizabad to be diverted towards Katarian, Pindora Chungi, Carriage Factory, Chakmadad and Peshawar Road to enter the city. The traffic coming from Jhelum Road would use the route of COD Chowk, Convoy Road, Chungi Number 22, Sher Khan Chowk, Qasim Market and move towards Peshawar Road. The Islamabad Airport and Sadiqabad bound traffic coming from Jhelum would use COD Chowk, Nazar Chowk, Chohan Chowk and Ali Chowk. Islamabad bound vehicles can go ahead via Koral Expressway. Traffic coming from Airport road would be allowed to use Ammar Chowk, Annexe Chowk and move ahead towards Peshawar Road through COD Chowk, Convoy Road, Chungi Number 22, Sher Khan Chowk and Qasim Market. Traffic coming from Peshawar would be allowed to use Qasim Market Chowk, Convoy Road, Sher Khan Chowk, Chungi Number 22, COD Chowk, Annexe Chowk and Airport Road. Jinnah Avenue will remain closed for all kind of traffic from D-Chowk to Stock Exchange while Express Highway will remain closed from Khyber Plaza Chowk to Khanna Pul. Jinnah Avenue Express Chowk to F-8 Exchange and Express Highway from Faisal Chowk to Khanna Pul will remain closed for traffic. People who want to travel to Blue Area have been asked to use service roads on both sides. The traffic coming from Koral will move to Khanna Pull, Lehtrar Road, Burma Chowk, Park Road, Rawal Dam and then to Murree Road. Traffic from Faisal Avenue to Rawalpindi will pass through Margala Road and Ninth Avenue. We will update this post with official picture of the CTO route plan once it is made available. Allah Pak apko utha lyn kia pta??? 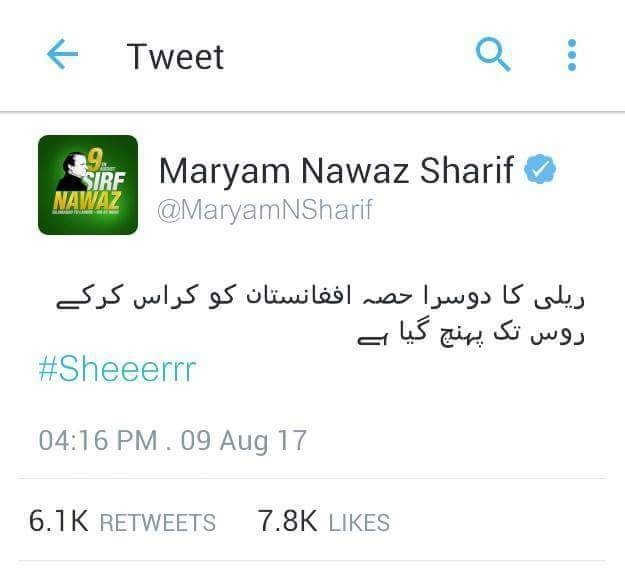 Poti leage khud ko khuda na samjy. Phir log kaha gae…..Kal bhi puppo zinda that aaj bhi puppo zinda hy. Kitny puppo maro gy, har gali se puppo nikly ga.
why did u say so? Are u sure u are clean for akhira? No one is, we come here to have some entertainment. Please don’t use such words again for anyone. q mulk men khana jangi karani hy. Ye Millions me waste hone wala maal ager ghareebo me takseem hota to kitno ka bhala ho jata…sigh..
Na cherho Bhai inko. Their supporters will come with weird and illogical statements. Yay krte hain to sb thk hai. Ghulamoun k roohani abbu ki rally hai sab band hona chahiay. Chaval insan!! Peda b kyun huye ho??? Ghulami k liay at least paida nhi howa (Alhamdulillah). Samjh nahi aaraha yeh ho kia raha hai.